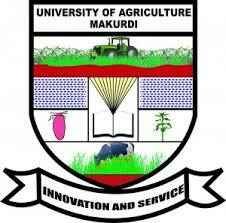 The Federal University of Agriculture, Makurdi [FUAM] Registration, Screening and Admission Clearance Procedures for Fresh 100level UTME and Direct Entry Students for the 2017/2018 Academic Session. This is to inform all Fresh UTME and Direct Entry Students of the Federal University of Agriculture, Makurdi [FUAM] that the Registration Procedures for the 2017/2018 Academic Session commences on 10th April, 2018. Students are to proceed online for their online screening and registration process. Candidates MUST confirm from the University website www.uam.edu.ng that they have been offered admission before they are eligible to attend the screening exercise. Upon successful login, complete the form and confirm your details then click "Save and Continue". Ensure you print your Acceptance letter and Admission Letter. Follow the instructions in the registration guideline published for your respective programme.